Registration is limited to 6 students per class and new students are accepted whenever a space becomes available. 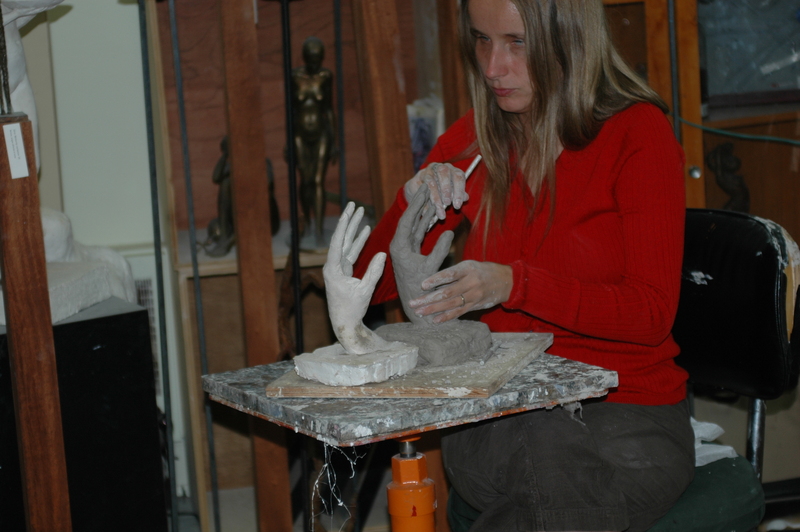 In this course students will learn the process of creating a sculpture in clay. The clay will then be used to make a mold and the final work will be cast in plaster. The subject for the first work is the human torso. 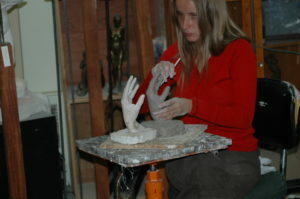 Emphasis is on learning to work with clay as well as the study of the figure. Students will begin the process of learning to model from life using a plaster cast of a hand. Using a plaster casting enables the student to copy from a three dimensional object in preparation for sculpting from a live model. The method of rubber mold making will be learned to cast the final work in plaster. 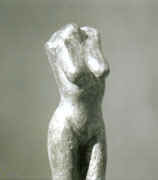 Emphasis is on technique, understanding of materials, and realistically representing the human form. For students who are interested in exploring there own creative projects there is the possibility of enrolling in an open session course. Examples of works done in this course are Portrait busts, works from the students mind or pictures… etc. Students interested in casting in bronze can explore the methods of working in wax. Wax enables the sculptor to realize pieces not possible in clay. Wax is also the material used to cast in bronze using the lost wax method. There are many possibilities and each project will must be discussed and approved by the teacher in order to realize if the project is feasible at the students level. Clay is included. Students pay for the plaster and rubber they use in the moldmaking process. The cost depends on the amount of materials used for their project. To register contact The Sculpture Studio at information@kotansky.com . A deposit is required to reserve your space. Full payment is required at the first class.